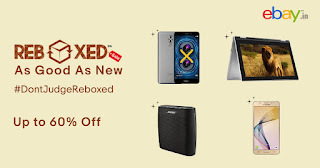 Widest range of refurnished products in Electronics. Latest Refurnished Electronics Item Available on Lowest Rate. All are Branded Item with Discounted Rate. Products are Smartphone,Headphone,Bluetooth,Tablets,Intel Core i3 - 540 Processor,Jar Mixer Grinder,Smartwatch,Google Chromecast,Unified IP Phone,Leased Line Single Modem.